This 7.04-ct. oval sapphire is from a new source, the island Madagascar. Deep, intense, velvety blue describes this sapphire’s color. Blue sapphire looks best in daylight and fluorescent light. This spindle-shaped crystal from Sri Lanka weighs 70.10-cts. Blue color distribution in sapphire crystals is often uneven. There is a second sapphire crystal growing into the larger one. Besides blue sapphire and ruby, the corundum family also includes so-called “fancy sapphires.” They come in violet, green, yellow, orange, pink, purple, and intermediate hues. Some stones exhibit the phenomenon known as color change, most often going from blue in daylight or fluorescent lighting to purple under incandescent light. Sapphires can even be gray, black, or brown. Intensely saturated and velvety, rare sapphires from Kashmir set the standard for blue. The world’s most famous engagement ring: Kate Middleton’s and Princess Diana’s sapphire. A rare and valuable pinkish-orange sapphire named from the Sinhalese for lotus blossom. Sapphire’s blue can be vivid and saturated, like it’s lit from within. It’s so durable, synthetic sapphire is used for the windows of supermarket scanners and spacecraft. 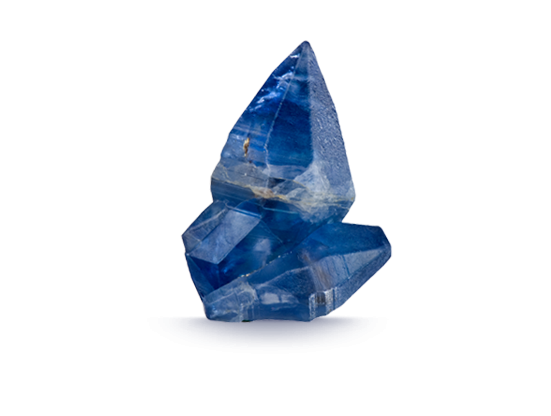 Sapphire often contains delicate intersecting needles of rutile that gemologists call silk. Each color of sapphire has its own quality variations. 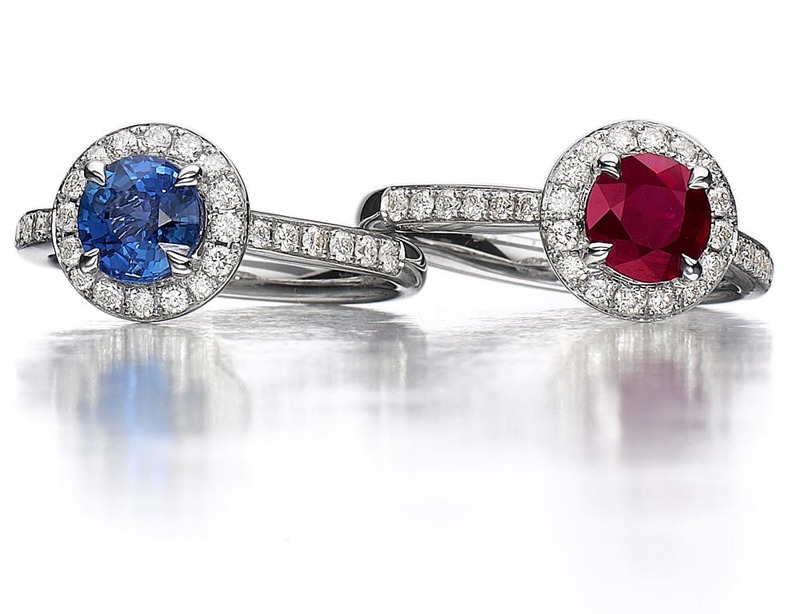 Sapphires come in a variety of colors. 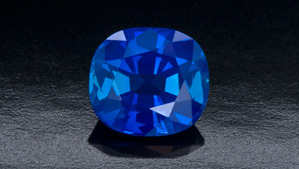 Preferred sapphires have strong to vivid color saturation, regardless of hue. 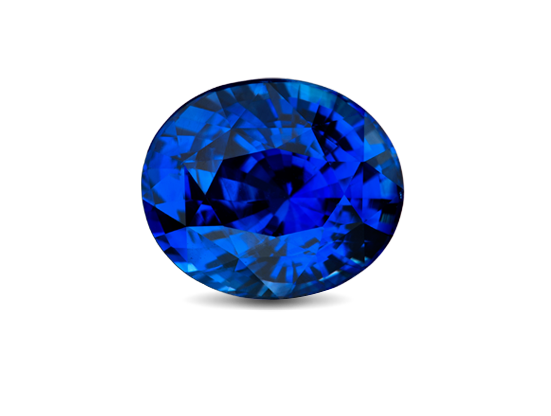 Blue sapphires typically have some inclusions, but they generally have better clarity than rubies. Sapphire is often cut with a brilliant pattern on the crown and a step cut pattern on the pavilion. Blue sapphires range in size, and large blue sapphires are more readily available than large rubies.